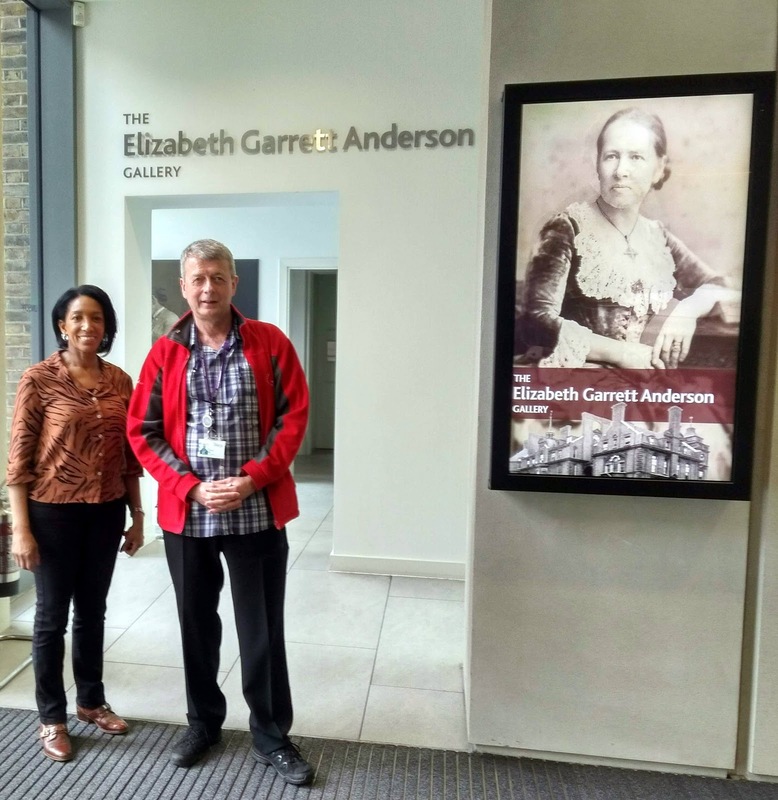 This picture is from today of Denise Thomas and I outside the Elizabeth Garrett Anderson Gallery in Euston following the National UNISON Community Service Group Executive meeting. Denise and I are standing on a joint slate for the UNISON Community NEC seats. Female Seat (Denise) and General Seat (Me). UNISON Community Service Group represents 82,000 members who work in voluntary organisations and housing associations. We think we make a good match since we are both experienced activists and Denise's background is in the Voluntary sector and mine is in Housing Associations. We are standing on a radical but progressive manifesto which we believe is in the interests of all UNISON members. Candidates are confirmed next week and ballot papers are sent out to all eligible members' home addresses on April 15. We have both received over 50 UNISON branches nominating us and now this has been confirmed, we will be writing to thank all of them for their marvellous support. Many thanks!